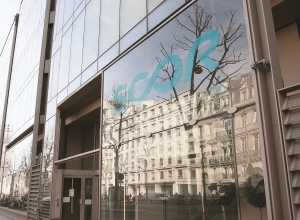 SCOR opened the US dollar market for Restricted Tier 1 (RT1) on 6 March, with a $625m perpetual non-call 11 transaction that attracted $3.75bn of orders. Bertrand Bougon, head of ratings and capital, and Gabriel Hauvette, capital management manager at the French reinsurance company discuss the rationale for the landmark deal, its structure and reception. Could you explain the rationale for this transaction? Our objective was to refinance our two hybrid debt instruments callable in June and November 2018, which we intend to redeem for a total amount of EUR463m, subject to regulatory approval. The size of the new debt, approximately EUR500m, was set according to this need. Given that the debt instruments to be refinanced are classified as Tier 1 under Solvency 2, our structural goal was to maintain the same high level of quality of capital by replacing eligible Tier 1 own-funds with Tier 1 capital. This was the first RT1 with a temporary write-down structure outside the Nordics. Why didn’t you choose the equity conversion structure, as ASR did? We prefer to speak about write-down with discretionary and conditional reinstatement (write-up) rather than temporary write-down. Though it sounds less appealing to investors, it is a more accurate description of the actual clause. The reasons for choosing this structure were threefold. Firstly, we assessed that the relative benefit for investors of an equity conversion vs. a write-down structure with a reinstatement provision was only marginal. Secondly, some banks prefer an equity conversion structure when issuing in a foreign currency to reach liability and hedge accounting treatment for the instrument under IFRS. In our case, we could achieve the liability accounting treatment with another provision that works only for insurers under Solvency 2. And lastly, it avoided issuing a dilutive instrument ahead of renewing authorizations for capital raising at our next Annual General Meeting, thus maintaining maximum financial flexibility. Since the market was receptive to a structure with a write-down, we launched the issuance after the publication of our full year results. The write-up mechanism includes a potential automatic disapplication in case the regulator no longer allows it. Were investors satisfied with the mechanism? Investors are aware that solvency rules do not provide detailed principles with regards to write-ups and are therefore subject to regulatory uncertainty. They understood that it was important for us to maintain the Tier 1 classification in the event that the write-up is no longer allowed and would lead to regulatory disqualification of the instrument. Managing this uncertainty with a disapplication of the provision is more beneficial and less risky for them compared to triggering an early redemption call. The strong interest in the structure leads us to believe the investors were indeed satisfied. This is your first US dollar transaction. Why did you choose to opt for the currency for your inaugural RT1? The market was there! We are satisfied with this choice and the issuance was a success. We should also note that pricing was more advantageous once swapped into euros compared to a straight issue in euros. You have included an innovative feature that allows you to classify the instrument as debt under IFRS. Could you explain how it works and why you chose that option? Considering the attractiveness of the US dollar Reg-S market and our funding needs in euros, it was essential for SCOR to reach an efficient hedge accounting for the cross-currency swap in IFRS. To that end, we needed the instrument to be accounted as a liability under IFRS. Without going too far into the details, the challenge was to reach both liability accounting treatment in IFRS and Solvency 2 Tier 1 own-funds credit as the standards provide conflicting requirements. A perpetual instrument with no obligation of payment should be accounted as equity. To meet both requirements, we proposed a mandatory replacement provision upon a capital disqualification event that triggers a cash payment obligation. This meets IFRS liability accounting criteria and, under Solvency 2, a replacement is not considered as a redemption. The other structure that meets both requirements is an equity conversion, but this was not the preferred option. Why did you choose the perpetual non-call 11 structure? Because of rate increase expectations? The explanation is simple. We have debt callable every year from 2025 to 2028. Therefore, a first call date in 2029, i.e. after 11 years, perfectly matched our maturity schedule without adding a major refinancing cliff. Did this transaction require you to do some additional work versus your existing disclosure? No additional disclosure was required given that all the necessary information was already public in the document de référence. How did you decide on the timing of this transaction? We had to issue before June, as one of the debt instruments being refinanced is callable that month. In addition, we wanted to issue as early as possible due to the favorable market conditions. The perfect date was just after the disclosure of our 2017 annual results and document de référence! How did you determine the locations for your roadshow? Were you happy with the exercise? As Reg-S US dollars was the preferred market for the new issue, it was easy to identify Asia and London as the two main regions for the roadshow. We were positively surprised by the discussions with the investors, who were all quite knowledgeable about the Solvency 2 regulation. We had to explain why insurance RT1 is less risky for investors than bank AT1, and support from our structuring advisors was key given their expertise on the subject. How satisfied are you with the demand and the coupon achieved? Highly satisfied! We issued at a rate of 5.25% in US dollars, with a final book that more than four times covered our needs. And we swapped the debt for the next 11 years at a rate of 2.95%, i.e. a spread in euros of 170bp, the tightest among European bank and insurance Tier 1 issuances. The strong demand from investors was supported by the A- rating by S&P, since this is the only Tier 1 issuance in that rating range. Overall, we are very grateful to our investors for their support and trust. 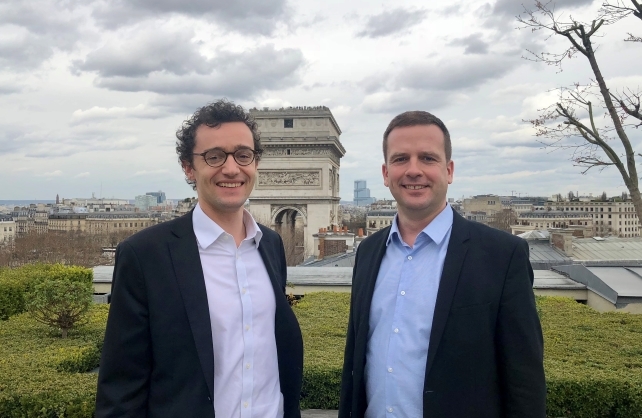 Find out how Julien de Saussure, fund manager at Edmond de Rothschild Asset Management (France) views the nascent asset class here.